Best Builders in Dallas: a Look at the Spaces that Scooped Up Those ARC Awards Last Week! Tim Jackson Custom Homes’ Maison d’Etoile won first place in the “Best Architectural Design – Traditional” category. As we told you last week, the Dallas Builders Association each year honors the work of its members, some of North Texas’ top building and remodeling talent, with an Oscars-like celebration of glamorous dress and beverage. They put on the Ritz for the annual ARC Awards ceremony. And of course, half of those winners are my CandysDirt Best Builders! All CandysDirt.com-approved home builders are curated from a select group of home builders. Click here to see what they told us about the top building trends for 2015. There are 50 categories, and the judges are top builders and designers from way outside of Texas. Well, except for Oklahoma. The celebration, held this year at The Westin Galleria, was a blast. Tim Lansford of Luxury Homes of Texas was the emcee, and teased the heck out of Tom Greico of Greico Modern Homes, (“BOOOO!”) But not moi — Tom is another CandysDirt.com fave. Turns out Tim is not just a home builder, he has his own radio show! As we mentioned, for the second year in a row, Classic Urban Homes snagged Custom Builder of the Year title. Not too far behind was my man Tim Jackson Custom Homes, also nominated for best, who snagged Best Architectural Design $1 to $2 million. 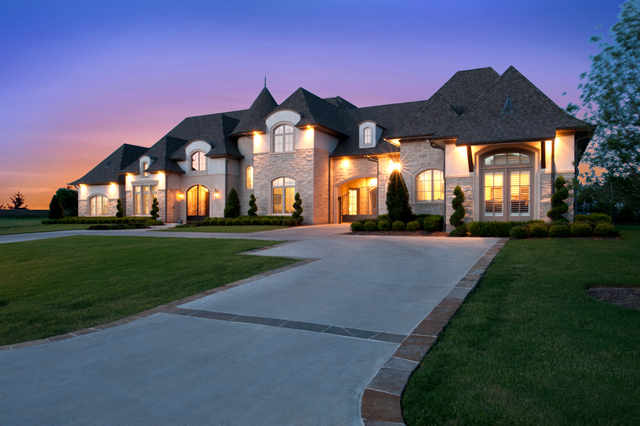 One of his entries was a palace he built called Maison d’Etoile for former Cowboys linebacker Bradie James. Bradie and his wife, Star, slipped in and dined with Tim and Leslie Jackson and watched the show. Other home builders extraordinaire who needed U-Hauls for their prize booty besides the aforementioned: Alford Homes, Desco Fine Homes, Cresswell Builders, our very own JLD Custom Homes, LRO Residential, Bauhaus Custom Homes and of course, Greico Modern Homes. 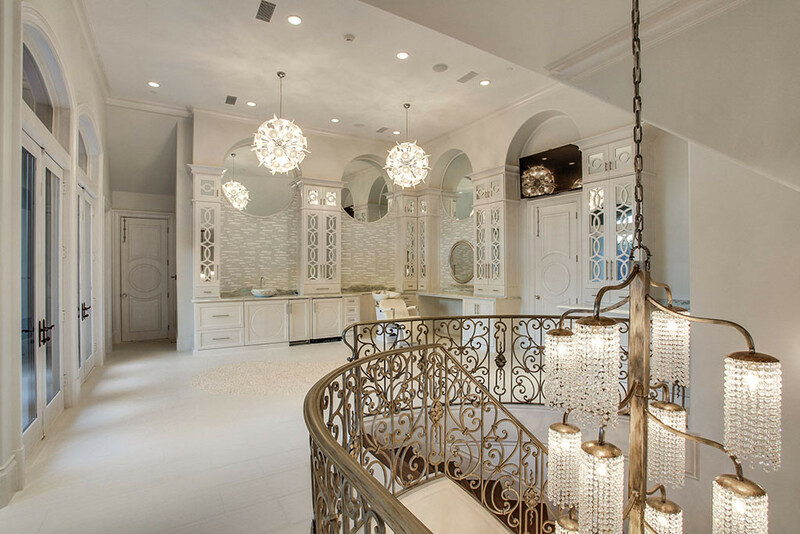 Desco Fine Homes won the award for “Best ‘Other’ Room” with their stunning beauty salon. Now a little inside dirt on the photo above: this was a remodel, in Preston Hollow, by Desco Fine Homes. Took two years to complete. The lady of the house wanted a home beauty salon — they are all the rage, by the way — so Desco fashioned one above her master bathroom. Can you imagine waltzing up the stairs to get blown out? I am loving this new trend, and mind you we will be posting more on it!